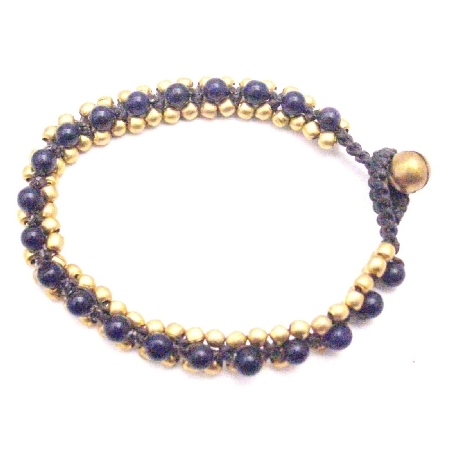 This is Gorgeous cord Wax cord adjustble from 7 1/2 to 8 inches golden beads accented in cord wax with semi precious Amethyst stones embedded very beautiful with excellent workmanship. It is perfect for anyone the classy simple design makes it the perfect accessory for any occasion. going to LOVE this handcrafted bracelet! cannot be resisted they are so rich.